Asian-American identity and representation are topics I'll likely return to again and again in these weekly reading posts. I'm a big believer in the general importance of diversity and representation for all minority groups in elite institutions of higher education and in different industries like my own, and I also care deeply about issues of racial equality in the United States. On a more micro level, I enjoy reading about different aspects of the Asian-American experience. My awareness of Asian-American issues was ignited very late in life, and I likely have to credit the controversy over the whitewashing of the Avatar: The Last Airbender live-action movie for it, strange as it might seem. It might seem like a petty or minor problem, but I don't think it's revolutionary to suggest that diversity and representation in media is a valuable thing. I always go back to Chimamanda Ngozi Adichie's wonderful TED talk on "The Danger of a Single Story" to explain that. 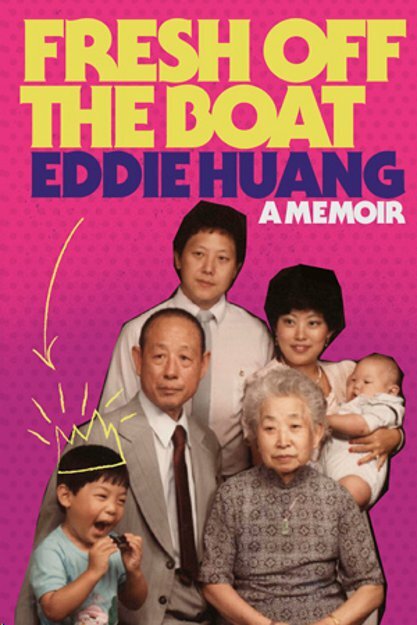 Full disclosure, I've never actually read Eddie Huang's first memoir, Fresh Off the Boat, though I would like to. A copy of it sits on the bookshelf at home, bought as a gift for K (who has read it). Huang also has an additional forthcoming book, Double Cup Love. I find the ABC sitcom adaptation of "Fresh Off the Boat" enjoyable and charming. I was, however, initially apprehensive: I grew up in a majority-Asian-American community in California. Among ourselves, we shared many jokes about our lives, our parents, and our culture, but those are born out of affection and an understanding of shared experiences rather than stereotypes. I was concerned that many Americans wouldn't see anything but jokes about "how weird Asian people are" (Huang's family is Taiwanese-American, but American society at large is not always good with distinctions between different Asian-American groups). Huang himself once hated the show, though he's less vocal now than he was a few months ago. I'll have to read the book myself to truly know what he's talking about when he says that the show is an "artificial" and sanitized version of his real life. A recent New Yorker article describes the contrast between ABC's show and Huang's real life (as seen in a recent episode of his Vice show, "Huang's World") as such: "I began to think of Huang's two shows working in tandem: 'Fresh Off the Boat' answers the question of what life looks like when the cameras are on, and 'Huang's World' answers back with what life looks like with the cameras off." 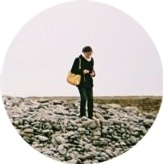 I was lucky, in many ways, to grow up in a place were most of my classmates (at public schools, no less!) looked like me, understood what it was to be Asian-American. That doesn't protect you forever from the realities of America's many issues with race or of the challenges that come from being Asian in America. But that's a story for another time.